Definitely a set-it and forget-it kind of meat. 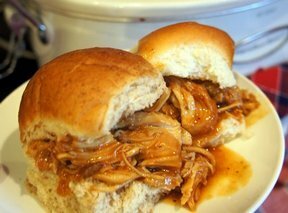 Let it cook through the night, shred it in the morning, put it back in the slow cooker, grab some buns and you are on your way to your Labor Day potluck barbecue. This sandwich is delicious and perfect for any Labor Day get-together. Let us show you step-by-step how to rotisserie grill a chicken. It will be the perfect addition to your Labor Day barbecue. See some helpful tips that will make your Labor Day potluck barbecue a huge success for you and your guests.